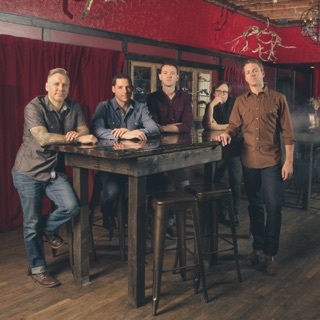 Fusing bluegrass with elements of rock, progressive, and improvisational music, the Yonder Mountain String Band have become one of the most celebrated acts on the acoustic music scene, thanks to the group's inventive style and busy touring schedule. The group's story began in Urbana, Illinois, where Dave Johnston, a student at the University of Illinois, met fellow student Jeff Austin. 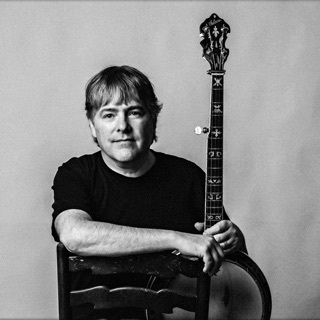 Johnston played banjo in a local acoustic band called the Bluegrassholes, and when he learned Austin was a novice mandolin player, he invited him to join. The Bluegrassholes proved to be short-lived, and Johnston decided to relocate to Boulder, Colorado, attracted by the city's active music scene. Austin also headed to Colorado, but instead settled in nearby Nederland, and when Johnston found out Austin lived nearby, he packed up his belongings and made the 17-mile journey to Nederland. Austin and Johnston soon crossed paths with a pair of like-minded musicians, guitarist Adam Aijala and bassist Ben Kaufmann. In December 1998, the new quartet adopted the name the Yonder Mountain String Band, and landed their first gig, opening for a band called Runaway Truck Tramps at Boulder's Fox Theater. Given the band's collective musical interests, which ranged from punk rock to the Grateful Dead, the Yonder Mountain String Band began attracting an audience that went beyond traditional bluegrass fans, and as they began gigging extensively, they won an especially loyal audience on the Jam Band circuit. In 1999, the YMSB recorded their first album, Elevation, which they released through their own Frog Pad Records label. As their reputation as a live act grew, the Yonder Mountain String Band released Mountain Tracks, Vol. 1, an album compiled from their archive of live recordings; it was the first in what would become a series, with the group releasing four more Mountain Tracks live sets between 2002 and 2008. A second studio album, Town by Town, appeared in 2001, and featured guitar work by noted bluegrass artist Tim O'Brien. For their third studio album, the YMSB collaborated with guitarist and songwriter Benny Galloway; Old Hands also included guest performances by Jerry Douglas and Darol Anger. The album rose to number five on the American bluegrass charts, and the group's success attracted the attention of noted independent label Vanguard Records, who signed YMSB and released their self-titled 2006 set, an eclectic release that was produced by Tom Rothrock (best known for his work with Beck, Moby, and Elliott Smith) and featured drumming from Pete Thomas of Elvis Costello's Attractions. 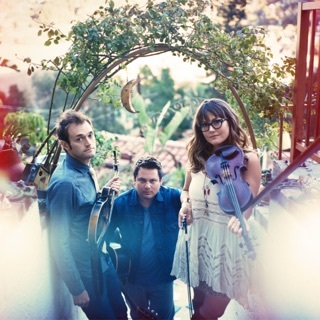 Despite the album's success on the charts -- it rose to number one on the bluegrass charts and gave the band their first appearance on the indie chart at number 43 -- they opted to return to Frog Pad for their next studio effort, 2009's The Show.